The hoopage — and the Eleventh Annual Uncle Crappy NCAA Final Four Challenge (Brought To You By Bocktown) — resumes tonight, so this is a good time to take a quick look at how we’re all doing. And how are we doing? Overall, not as bad as it probably felt last weekend, as we watched upset after upset after upset. Remember, AUCNFFC (BTYBB) contestants don’t start getting points until teams start making the Final Four. Even so, we can still get a pretty good sense of who’s struggling (Ethel) and who isn’t (Curl Girl Michelle). Good luck this weekend, everyone. I have some family stuff to take care of Sunday and Monday, so look for actual standings — with actual point totals — on Tuesday. I’m not ready. But I kind of have to be. Until very recently, the milestone I’m approaching — that would be turning 50 in almost exactly 14 months — has mostly been a source of comedy for me. It’s easy to joke about the difference in ages between me and pretty much all of my friends and colleagues in Pittsburgh; I’m older than nearly everyone — by two decades or more in some cases — so when I hear you guys gripe about how far away we are from eighties and nineties, a smirk and a glance over the tops of my glasses will almost always get a laugh. And if I can get a cheap laugh, I’ll go for it, nearly every time. I think I’ve said here before — and I know I’ve talked about this to a bunch of you in person — I have no idea how someone who is almost 50 is supposed to act. I don’t wake up in the morning and think about having survived nearly a half-century on this planet. I supposed it’s possible that I’ll wake up one day and realize that I’m trying to behave like someone ten (or 15, or 20) years younger than me, and that I need to knock it off. But I definitely need more sleep these days, and it takes me longer in the mornings to loosen up to the degree that I’m not shuffling around the house like I’m an old guy. 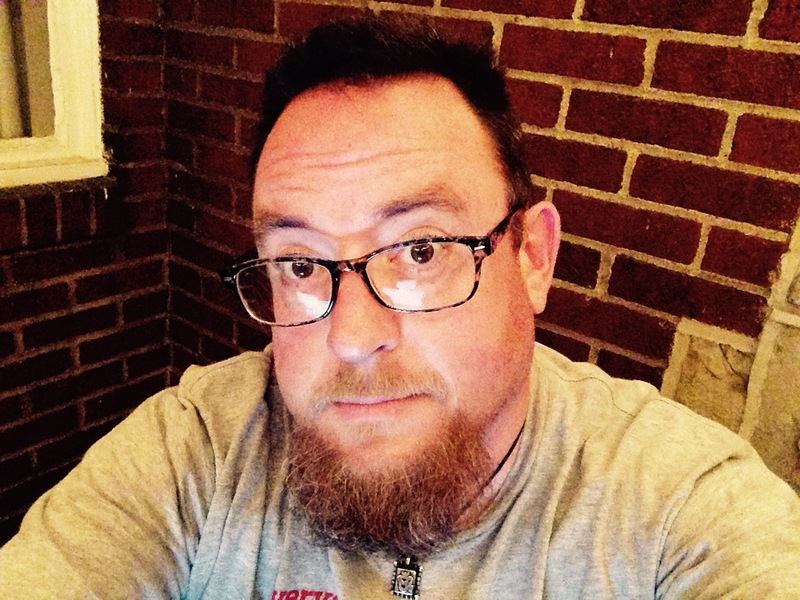 The upshot: I feel older, but I’ve never felt like I’m almost 50. And that’s why the discussions I’ve been having with our new doctor are so disconcerting. Mrs. Crappy and I both took on a new doc at the recommendation of friends who have been seeing her for a while. I like her a lot. Her manner is similar to what I’ve always guessed being a patient of the Coochie Doctor would be: she is positive, energetic, willing to joke a bit while still being matter-of-fact about what we’re doing. I liked our previous doc too (the change in jobs meant a change in insurance carriers and, therefore, a change in doctors), but in retrospect, I think we were too close to being contemporaries to deal with the things I’m going to have to deal with. And there is a list. I’ve seen New Doc twice now. The first time I visited, my blood pressure was sky high, something we’re attributing in part to being nervous about that first checkup; on the second visit, it was 125/85, a reading she was very happy about. The other good thing: between the first and second visits, I had bloodwork done. And in her words, it was perfect — all the cholesterols, all of that stuff, all much better than she expected to see, especially for someone with a family history of heart problems. Except for one thing. Blood sugar. There will be another blood draw next week and another appointment the week after that, but New Doc was careful to make sure I understood this: given my family history, diabetes was likely to be a thing for me from here on in. And man, I am unhappy about this. The obvious things that could help are going or already gone. There is no more sweetened cereal in the house. Those freaking fruit popsicles that I used to satisfy my powerful sweet tooth. The Pepsi Max-and-Pop Tart breakfasts are a thing of the past. I don’t know what all the rules are now — I’ll see a nutritionist sometime here in the future — but that stuff is easy to figure out. And then we discussed carbs, and all that entails. New Doc mentioned a list that includes replacements for many of my favorite things, pasta being chief among those. Sweet potatoes instead of those giant baked ones from Idaho. Beer is an issue. I think about how much I love food, trying new restaurants, visiting the homes of friends who are willing to cook — and there are a bunch of you — and I think about having to give up nearly all of that. And suddenly, life looks pretty gray. I will do what New Doc and the nutritionist ask me to do. I will do everything I can to control this without insulin, because that’s a complication I don’t want to have to deal with. And, eventually, I will remember some of the things I’ve heard in the 14 months since I started yoga — setting aside the attachments to the things that brought me here in favor of appreciating what’s in front of me right now. When I’m able to do that consistently, I’ll be in much better shape. I’m not there now. Acceptance will take some time. When I was home for my high school reunion in July, I was struck by how many of the people I see only every five years had become old, not so much physically but in action and attitude. I left feeling thankful that I wasn’t there yet. This feeling will pass. I will become accustomed to a new routine, a new normal. Sweets will be a rare treat instead of a nightly habit. I will find a brand of whole wheat pasta that doesn’t make me want to cry. I will be healthier and better for the effort. But for now, I just feel old. My former colleagues know me so well. When it came time for my going-away party, I suspected there was a decent chance that I might take home a bottle of beer or two. And my friends at The Times didn’t let me down. 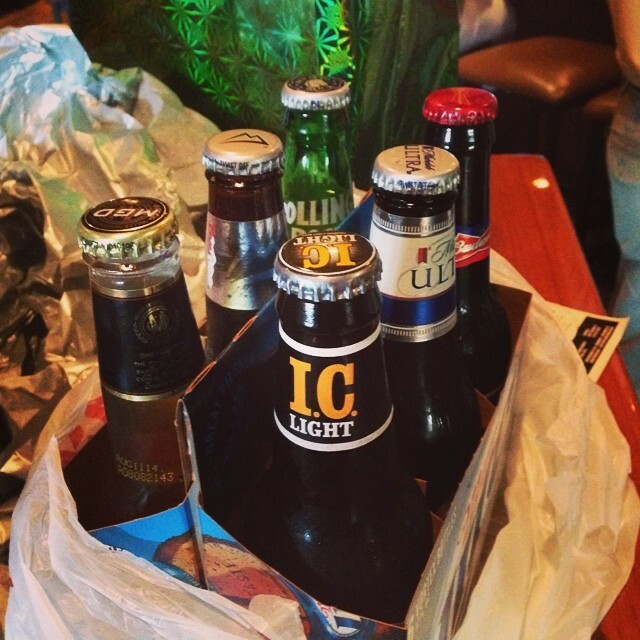 I mean, who could not get excited about a thoughtful, carefully considered six pack like that? IC Light, Iron City Brewing Co. Light American lager. 4.1 percent alcohol by volume. My thought was to get this one out of the way first, because I wasn’t only battling a not-so-good brewery but also the whole perception of the official beer of Stillers fans thing. 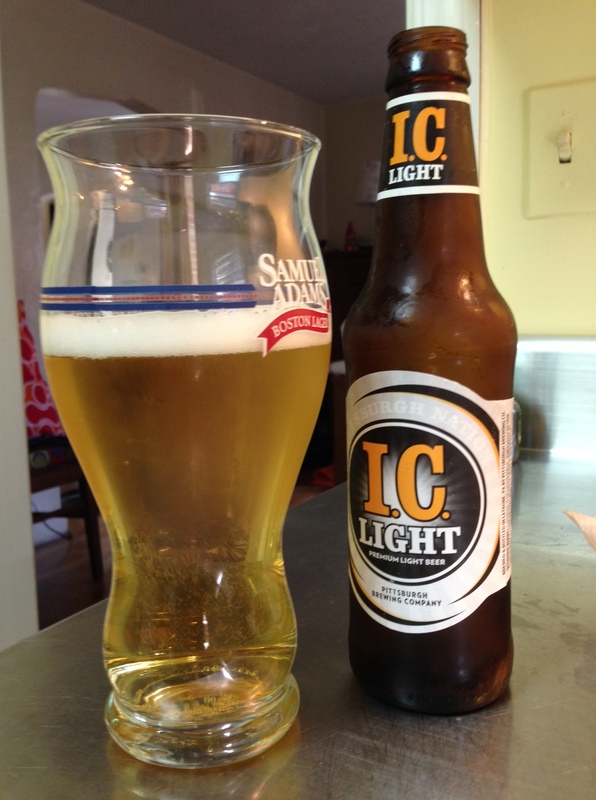 As it turned out, though, IC Light actually tasted a bit like beer, something that would prove to be a bit unusual as we went through the six. It was also thin and pushed too much corny sweetness in my face, but all told, not awful. 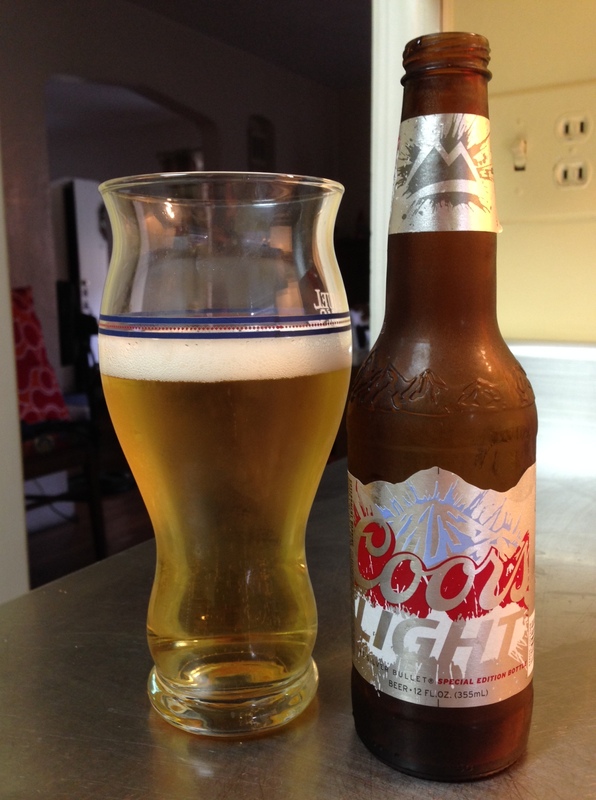 Coors Light, Molson Coors Brewing (MillerCoors). Light American lager, 4.1 percent alcohol by volume. First thing? Coors Light is fizzy. As in like ginger ale fizzy. The other thing? This was the sweetest beer of the bunch, like a can of sweet corn soaked in syrup. And that’s not a good thing. This is also the second-biggest selling beer in the United States. That’s an even worse thing. 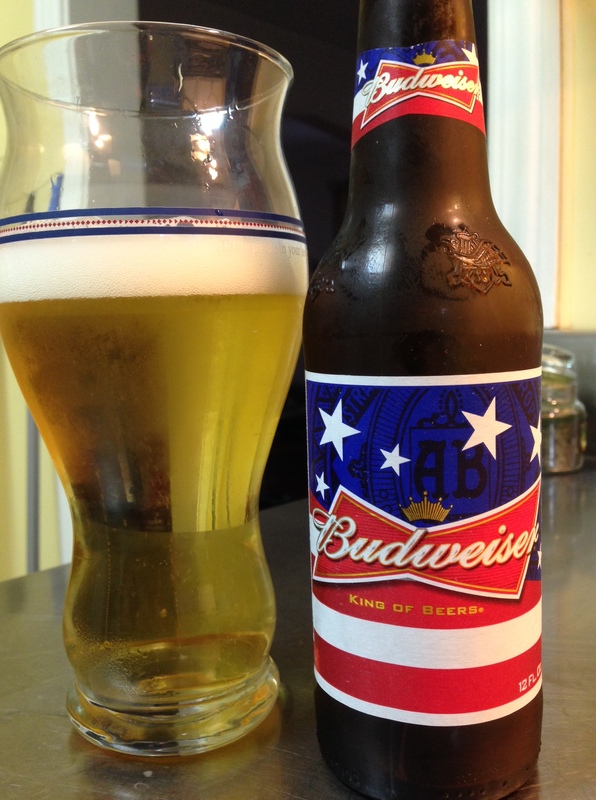 Budweiser, Anheuser‑Busch InBev. American adjunct lager, 5 percent alcohol by volume. Ahh, the King. Compared with the beer it followed, this Bud was almost palatable. But wait, let’s think about this for a minute. Sure, it lacks the candy bar sweetness of Coors Light; it’s also missing pretty much any indication of ingredients that are typically used to make beer, especially the kind of hoppy bitterness you’d need to tone down the cloying corn. 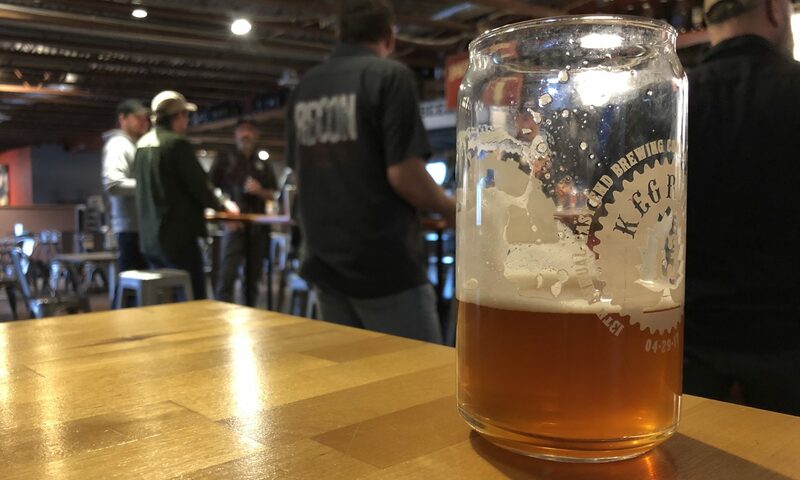 There’s a thing to remember, boys and girls — Keystone’s “bitter beer face” commercials aside, a little bitterness in a beer is a good thing. 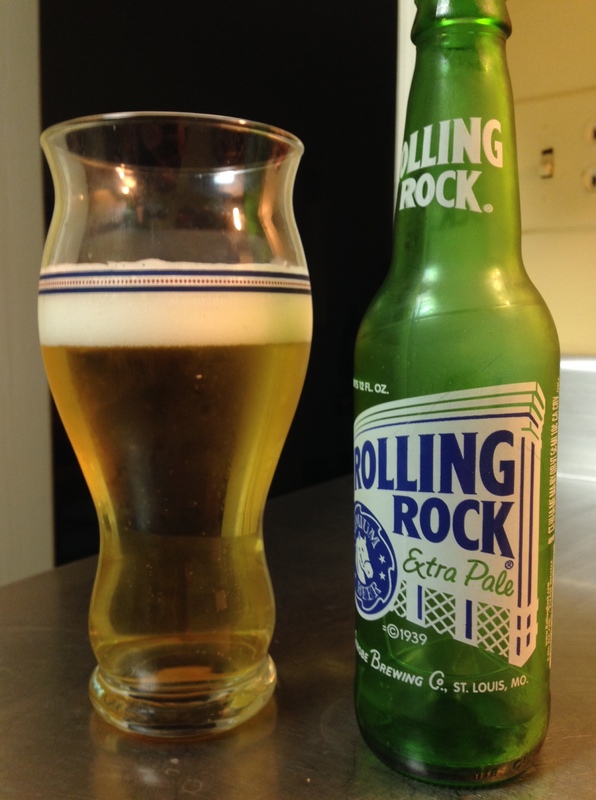 Rolling Rock Extra Pale, Anheuser‑Busch InBev. American adjunct lager, 4.5 percent alcohol by volume. I was a regular Rolling Rock drinker for a year or two way back in the day, well before the brand was purchased by A-B and production was moved to the glass-lined tanks of old New Jersey. And here’s the interesting thing: Rolling Rock is actually better now than I remember. Rolling Rock didn’t have the same sweetness as many of the other beers I regularly grabbed in those days; in fact, it the green bottles gave up enough to the sun that it wasn’t unusual to some across some skunky flavors pretty consistently. Now? Not skunky, but also not as much cloying sweetness as its counterparts. 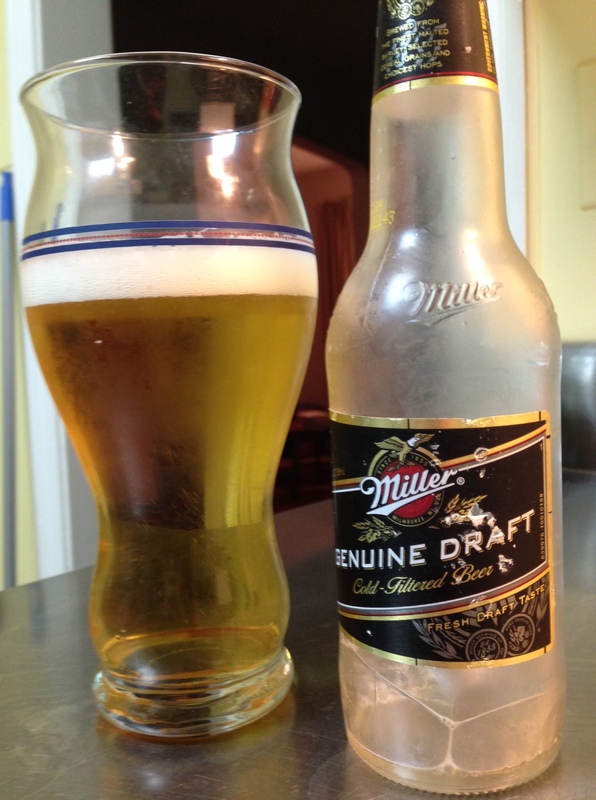 Miller Genuine Draft, SABMiller (MillerCoors). American adjunct lager. 4.6 percent alcohol by volume. I spent some time with MGD in my youth as well, and this beer was pretty much as I remembered it — thin, bland and inoffensive. In this group, I suppose boring is OK, but given that this was marketed as a bold alternative, MillerMolsonCoors isn’t hitting the mark. Surprised? Me neither. 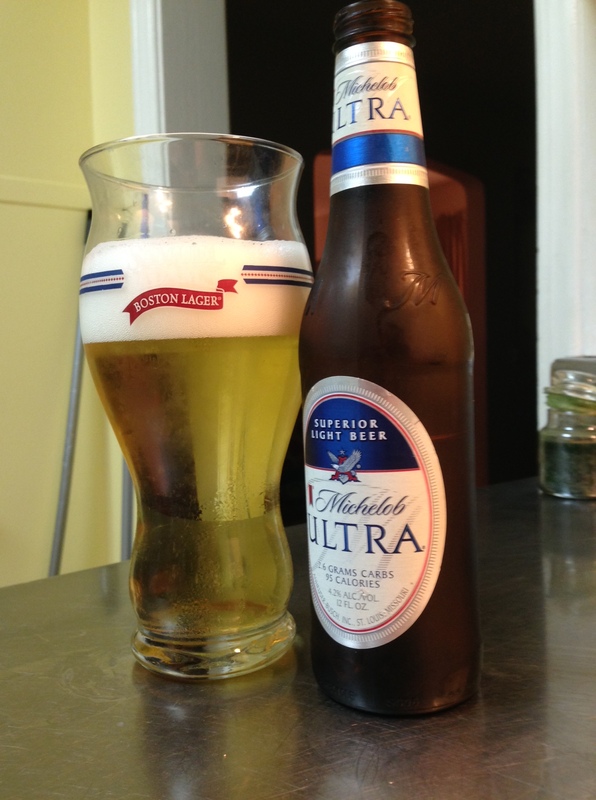 Michelob Ultra, Anheuser‑Busch InBev. 4.2 percent alcohol by volume. Of all the beers in the sixer, this is the one that actually made me angry. It is beer for people who don’t actually want to drink beer. It is a fiction created by marketers. It is an affront to everything I stand for. And it also poured the biggest head of any of the beers in the six (WOOOOO, ACTUAL BEER-LIKE TENDENCIES). Go figure. But that was the only surprise. Mich Ultra is watery, corny and way too sweet. Were there winners in this experiment? 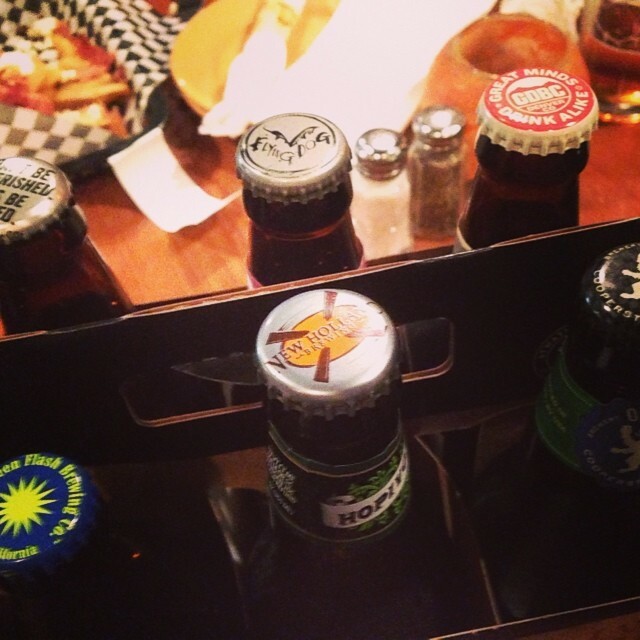 I’ll count myself among the winners, because it was legitimately fun getting back in touch with some of these beers. And if we’re talking about the beers, let’s go with Rolling Rock, because it may have actually improved when it was taken over by our A-B InBev overlords, and IC Light, because it sort of tastes like beer and not so much like bowl of corn flakes soaked in honey. And I should point out one additional thing: my friends also came through with a very generous Bocktown gift card, so I was able to buy a few more six packs with beer that’ll prompt many fewer complaints. Thanks again, guys. You couldn’t have done it any better if I had picked them out myself. I’m accustomed to writing posts about the smoking carnage that is the brackets of my AUCNFFC contestants at this point of the tournament. And the brackets of those entered in the Ninth Annual Uncle Crappy NCAA Final Four Challenge (Brought To You By Bocktown) are no different. Well, actually, they are. If it wasn’t for the tournament’s overall No. 1 seed, Florida, advancing to the Final Four, I would be writing about what would likely be the worst set of initial AUCNFFC standings ever. And even with the Gators advancing, as so many of you predicted, our anticipated dancing partners failed to join them. Because we now have a Final Four, we now have standings. And they’re not especially pretty. In fact, none of us — none of the 40 of us — managed to correctly pick more than two of the Final Four teams. There is a huge knot of people with two points and the possibility of gaining more — but because nearly all of those folks picked Florida, they have no hope of catching the few who picked the Gators and another of the Final Four teams correctly. We have a couple people whose picks could make things interesting — and yes, we have a healthy number Blutarskys (we’ll get to them in a little bit). These guys are in the driver’s seat. If Florida wins the tournament, it’ll come down to the tiebreakers these guys submitted when they entered. And no, there are no matching tiebreakers this year. And if Florida loses and UConn wins, these guys still have a lead that should be tough to overcome. There are a ton of contestants that earned two points and have the possibility of more, but Barb and Bill are in a group of their own. Barb is the only one of us to pick Wisconsin to win the title and Bill was the only one to pick Kentucky. 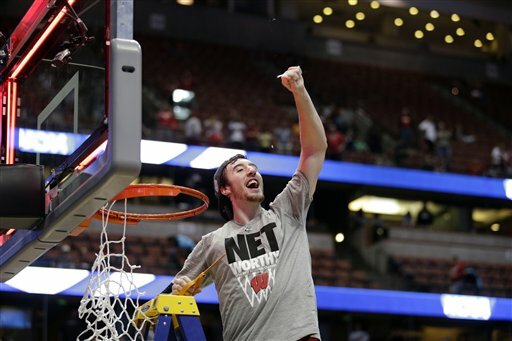 I haven’t done the math, but I’d guess that if either the Badgers or the Wildcats wins the title, there isn’t anything the rest of us could do to catch them. With the exception of Otimemore, you guys all have something in common — you all picked Florida to win, and the Gators were your only correct Final Four pick. But even if you’re right, you’re not going to catch AAA, Sports Chump, Hellpellet or Jenny. And while Otimemore picked Florida to advance to the title game (thus giving him the possibility for more points) he had them losing in the title game to Arizona. Thanks for playing, guys. Hope to see you back here next year. And that leaves us with the special members of the group, the ones who couldn’t muster a single correct pick in this year’s tournament. If you’re a new AUCNFFC player, you may not be familiar with the term “Blutarsky.” But it’s likely you do recall the scene in Animal House when members of the Delta house visit the office of Dean Wormer to discuss the mid-term grades of the fraternity’s members. And it’s probably likely that you remember what the dean says to John Belushi’s character — because the words, at this point, are immortal. Thanks for your participation, my fellow Blutarskys. I have two suggestions: 1) Next year, go with the chalk, and 2) Be nice to this year’s winner — maybe they’ll invite you to dinner at Bocktown. That’s my plan, anyway. A few posts ago, I mentioned that I had starts on several additional posts. Many, if not most, of those were going to be about food. Which makes this week all that much more entertaining. On Sunday morning, I woke up at my folks’ house feeling a little uncomfortable. We helped them with a couple of chores and started to pack up to head back to Pittsburgh. And somewhere in the middle of that process, I felt like I had been hit by a stack of bricks. 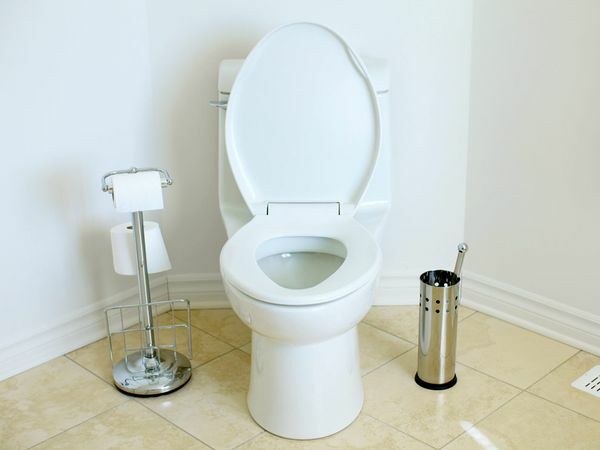 I had to spend the first an endless number of visits to the bathroom and then take a 90-minute nap before Mrs. Crappy got us back home in record time (while I was moaning in the passenger seat next to her). It hasn’t been a good week. It won’t be a good day tomorrow, when I’m having chicken noodle soup and Pedialyte for Thanksgiving. And, as you’ve probably noticed, it’s blown NaBloPoMo completely out of the water. I’ll do what I can to make up some remaining posts between now and Saturday night, but I’m thinking I may not get to nine more between now and the start of December. 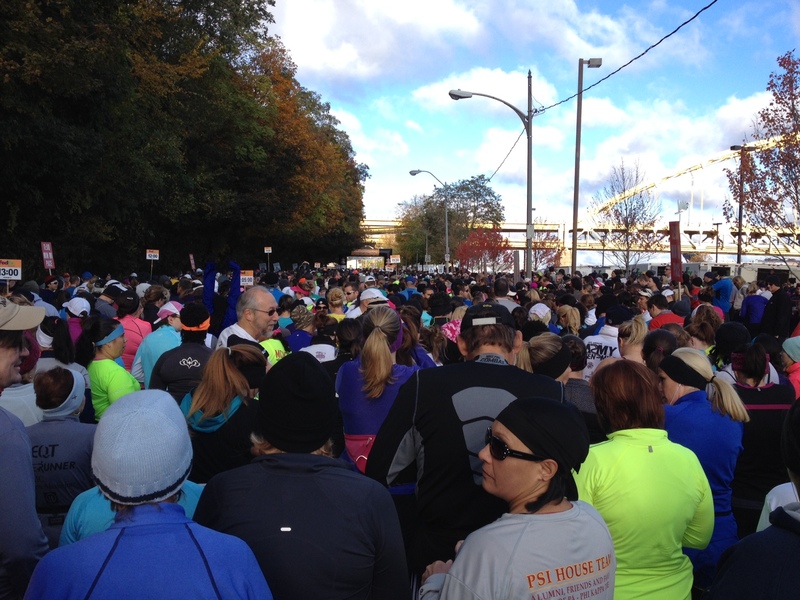 Or maybe I can squeeze in a few in between glasses of Pedialyte. I knew that getting through a 10-mile run would result in some, uh, discomfort for a few days after. But i had no idea about the full range of reactions my body would put me through in the days following Sunday’s jaunt. Pain. Well sure, this one is obvious. And as I said on Sunday, it was evident by the time I was halfway through the race, in my calf, in my hips and in the now-infamous groin. And as everyone warned me, the pain and stiffness continued into Monday, even after a torturous morning session with our foam roller. Tuesday was better in general, but there’s a pain in my left thigh that appeared out of nowhere today. I’ve learned several new funny walks since Sunday, but this will clear up with time, more foam roller abuse and a new bottle of Advil. Exhaustion. I expected this as well, although not to the degree it’s actually hit me. In spite of the pain I had to deal with on Monday, I actually felt pretty good most of the day. But when I got home and took a seat on the couch, I was immediately ready for bed. This wasn’t helped by working until 1 this morning, but it’s getting better as well. Food. I made a mistake on Sunday — when we went to Piper’s for a post-race breakfast, I immediately ordered the richest thing on the menu, their version of chicken and waffles covered in delicious banger sausage gravy. On a normal Sunday, I would have had no trouble hoovering the entire plate; on that Sunday, I ate about a third of my meal before my stomach made it clear that something lighter would have been a better way to go. I ate the leftovers without too much trouble Sunday night, but the discomfort continued on Monday, when the only thing that sounded interesting for dinner was a can of chicken noodle soup. Even yesterday’s election-night pizza is still fighting with me today. This can stop any time now, thank you. Drink. WHAT? WHAT THE HELL DO YOU MEAN I CAN’T DRINK BEER? Sadly, this is true. I’ll chalk up Sunday’s experience — ordering an amazing (and amazingly strong) Victory DirtWolf instead of a nice, cool wit as I had planned — as a poor decision; that’s because I couldn’t finish my glass. I drank about 47 gallons of water on Monday, but I didn’t try with the beer again until that night, when another strong IPA led me to suffer feedback from my body *urp* that I experienced on Sunday. And as I am bound by journalistic tradition to have a post-election night beverage, I successfully downed a bottle of Woodchuck cider when I arrived home last night. I think I may give the beer another try tonight, because DAMMIT THIS IS COMPLETELY UNACCEPTABLE. I’m going to try to get outside for at least a brisk walk tomorrow morning, to try to work out the last of the kinks I’m suffering from Sunday. I know, I know — i’ll take it easy for a while. But I want to take advantage of whatever momentum I gained on Sunday and turn it into a regular thing again. And so I can skip the part about having to avoid beer for three days after the next race.